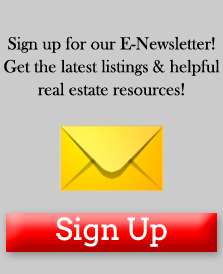 Las Cruces defies the National Real Estate Market Statistics. 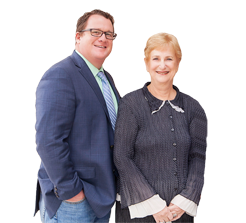 Many markets took serious hits in property values while here there has been a steady recovery from those lows, and for the past 3 years we have had record price recovery and property appreciation. In the wake of the financial crisis, many Americans lost faith in the idea of a house as an investment. Some “experts” warn higher interest rates will not only increase costs but will suppress demand. Again, Las Cruces defies this with record increases in demand consistently year over year for the past 5 years. Housing is not in a bubble. In fact, in many ways, the housing market is healthier than it has ever been. Sure, there are some individual factoids that can make for alarming headlines if you read them the wrong way. And few financial decisions in life are ever 100% risk-free. 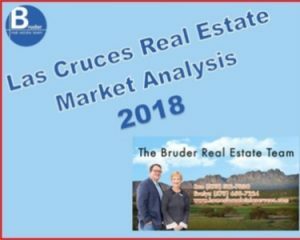 A look at the big picture around the Las Cruces real-estate market right now shows this spring is a fantastic time to buy a house – A first Home or Move up or Downsize the time to act is now. Click here or on the image for our full report. 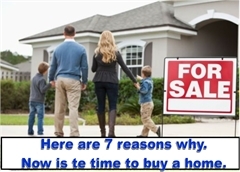 #1 Strong home prices: Let’s start with the biggest fear, that values may tumble. Just this week, S&P/Case-Shiller reported prices were up 6.8% (exactly what has happened in Las Cruces). This has pushed prices to its highest level since 2007. If you’re concerned primarily with real-estate values, it’s hard to find cause for concern. Many people talk about housing prices surpassing their prior highs. When you look at “real” prices, home values are where they were in 2004, still below the all-time highs set in 2007. It’s dangerous to say that prior highs were an absolute ceiling for home values, particularly given how much has changed in the real estate and lending industries. There is still more room to run before we reach that peak. 3.) Brisk new home sales: Home sales continue to be high despite relatively low supply. Builders probably learned some important lessons from the bubble about overextending themselves. 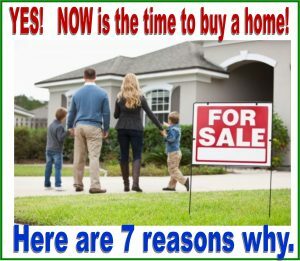 But, the latest Census report on new home sales showed a rate of sales 8.8% above that of 2017. Furthermore, all four prior months were revised higher, which reinforces a trend of growth. 4.) Durable mortgage demand: Sure, re-financings are way down. Why shouldn’t they, as the typical 30-year fixed-rate mortgage has shot up above 4.5%, its highest level in nearly five years? But when you look, mortgage demand is still robust. The Mortgage Bankers Association new mortgages are up 11% from a year ago, when the typical 30-year mortgage rate was around 4.0%. Remember that before you freak out about higher rates. 5.) Low Inventory is NOT holding back sales: Much attention has been paid to the chronically tight housing supply. As of January 2018, there was a paltry 3.6 months of total inventory compared with records of more than a year’s worth of supply during the “Great Housing Recession.” But inventories aren’t dropping because it’s a terrible time to sell a house — quite the opposite. The details show the total volume of existing home sales rose marginally last month even as inventories were down 7%. That hints that the sales would be there if only there was the supply. 6.) Untapped first-time buyers: Even more compelling is the demographic shift the U.S. is experiencing, with 25-to-29-year-olds representing the largest cohort among five-year slices of the population, followed by 30-to-34-year-olds. They are entering the time when they have families and buy homes, which is undeniably a net positive for housing (and the broader economy) across the next several years.